by Christian KongstedPublished 2003 - GambitPaperback: 192 pages Do you understand how to gain the maximum benefit from working with your computer? This book aims to explain the way chess computers "think" and, consequently, to help you understand their strengths and weaknesses and the best way of using them to improve your game. In Part One "How the Computer Works" Christian Kongsted looks inside the machine, explaining how it calculates, what it's blind spots are and how to beat it using anti-computer strategies. He uses examples from computer play to illustrate his points. Part Two "Improving with the Computer" shows how to use computer databases and playing programs to best effect with advice on analysis, learning openings and constructing opening trees & tactical and endgame training. 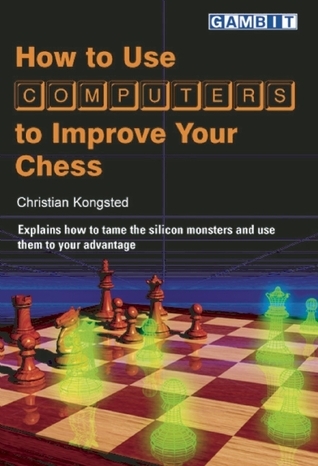 Overall this book offers a practical insight into the nature of chess computers and how to use them to your own advantage. The author is a Danish journalist and strong correspondence player.